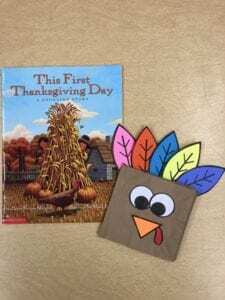 November 15th- This week in Book Bunch we read This First Thanksgiving Day written by Laura Krauss Melmed. It is an adorable counting story of Thanksgiving tradition and history. 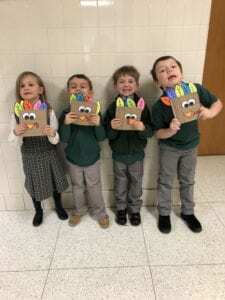 We made turkey books to go along with our story and wrote about what we are the most thankful for! I am most thankful to have such a wonderful group of little book lovers to spend my Thursday afternoons with! Happy Thanksgiving!